2013's The Wolverine set up the events of the events of the X-Men installment that followed it (2014's X-Men: Days of Future Past) with its end credits sequence. It's expected that the credits scene for X-Men: Apocalypse has likewise set the stage for events that will transpire in 2017's as-yet untitled Wolverine 3: Hugh Jackman's (supposed) final outing on the big screen as the eponymous mutant and the second Wolverine solo film directed by James Mangold. To refresh your memory: the Apocalypse credits scene shows the bloody aftermath of Wolverine's escape from the underground Alkali facility being cleaned up by members of the Essex Corp: a scientific research organization founded by Nathaniel Essex a.k.a. the "mad scientist" known as Mister Sinister. Rumor has it that the "villainous scientist" being played by Richard E. Grant (seen recently during Game of Thrones season 6) in Wolverine 3 is, in fact, Mister Sinister. If so, then it stands to reason that Grant's villain character has been attempting to replicate Logan's mutant abilities for decades by the time the future-set Wolverine 3 takes place (using the blood that his employees recovered during the Apocalypse credits scene, back in 1983) - and he might have even succeeded by creating Mutant X-23, a.k.a. 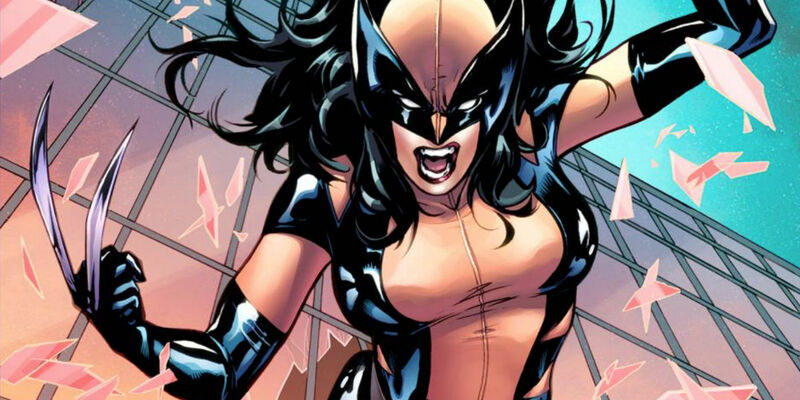 Laura Kinney or "female Wolverine", from the X-Men comics. 12 to 15 year-old girl. Still a child, but a wounded badass, a pound puppy, raised in captivity in a time of battle, without support systems of normal childhood. She has no family and until now, has never left the compound in which she was born. She has an authentic intensity – her expressions & body language speak volumes, without words. Once released in the outside world, everything is new – every experience and every image a first. This does not mean everything is wonderful or wondrous. Some things she sees (things we might regard as conventional) may scare her or anger her and things we may find interesting may bore her. She has not been instructed in many social conventions – she can eat like an animal. She studies and often mimics people’s behavior. She has a high IQ, but is also a temperamental, impulsive and feral creature that can raise genuine mayhem. She is a girl that has never been kissed. Looking for a REAL girl - not made up or done up. Also with genuine edge, not made up or put on. Martial arts or gymnastics experience preferred but not necessary – but actress must be extremely physical and able to improvise scenes without necessarily resorting to speech. Do NOT play it “cute". Adding to the mystery are these Wolverine 3 set photos that emerged over at Just Jared (see above), showing Jackman on set with Patrick Stewart as the older Professor Charles Xavier (who, like Wolverine, is scruffier than usual in this film) and an unidentified young actress who does appear to be around the right age for "Zoe" (X-23? ), based on this new description. It may be that "Zoe" is not X-23 and is just another character although in Wolverine 3, but it's not outside the realm of possibility either. Similarly, although it's speculated that Wolverine 3 is drawing inspiration from the famous Old Man Logan comic book storyline, there could be elements included from other Wolverine comic book narratives in Mangold's film. The list of possible sources for inspiration include Death of Wolverine, in turn paving the way for Grant to instead be playing Dr. Abraham Cornelius: a scientist who attempts to replicate the results from the Weapon X program where it concerns Logan. That could mean that it's Dr. Cornelius who is responsible for the experiments that provide Mutant X-23 with her Wolvie-ish qualities in the third Wolverine installment. Another theory is that Grant as Mister Sinister will be operating in the background for much of Wolverine 3 (before he becomes the primary threat in a future X-Men film). Meanwhile, the main story thread would revolve around Logan's efforts to protect "Zoe"/X-23 and fight the Reavers: cybernetic thieves from the X-Men comic book universe who, in this film, are rumored to be led by the same as-yet unidentified villain character that Narcos actor Boyd Holbrook is playing in this X-Men installment.